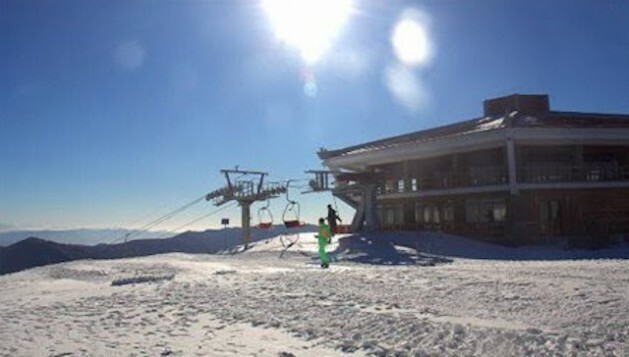 A new ski resort opened in North Korea last year is drawing many tourists. Credit: Koryo Tours, Beijing. SEOUL, Feb 27 2014 (IPS) - If the North Korea of the 1990s was seen as a starving nation that produced an exodus of hungry people, then the picture should be even gloomier now – six years after it stopped receiving South Korea’s generous aid. But it’s not. The nation of 24 million people, widely said to be the most secretive in the world and a nuclear threat, appears to have weathered the years well. Today, more people are reported to be better off. Many are engaged in trade. Its communist regime, inherited by the 30-something supreme leader of North Korea Kim Jong-Un after his father’s death in 2011, is actively wooing foreign investors and tourists, and introducing reforms. Pyongyang has even softened its attitude towards Seoul to resume talks. North Korea has been gradually weaned off South Korean food and goods. Ordinary North Koreans no longer depend on rations from Pyongyang as these have more than halved in the past years. From 1998 to 2007, the liberal government in Seoul used to supply some 400,000 tonnes of rice, large quantities of milk powder and medicines for infants, cement and construction equipment and fertilisers to North Korea each year. Truckloads of cargo used to cross the heavily-fortified border that has separated the two Koreas since the 1950 to 1953 Korean war. Each month, thousands of South Korean tourists used to visit the North’s scenic Mount Kumgang, yielding millions of dollars for Pyongyang. But ties between the two Koreas almost froze after a conservative government took office in Seoul in 2008. South Korea halted all trade with North Korea, and most investment, in May 2010 after the sinking of one of its warships, which Seoul attributed to Pyongyang. The loss of Seoul as its largest donor resulted in Pyongyang becoming more dependent on China, its largest benefactor and only ally. According to the Korea International Trade Association (KITA), from 2012 to 2013, bilateral trade between China and North Korea increased 10 percent to 6.54 billion dollars. North Korea has also been forced to become more self-reliant. There are more now of the so-called “middle class” businessmen, including about 240,000 North Koreans who own 50,000-100,000 dollars worth of assets like apartments, according to the Chosun Ilbo newspaper published from Seoul. “These new middle classes indicate that Pyongyang allows farmers or ordinary people to do business in the market. Earlier, doing business was unthinkable unless they proved their loyalty to the communist party,” an unnamed Seoul official was quoted as saying in the newspaper. North Korean defectors in South Korea explain that these well off people are usually former farmers, traders or diplomats. A recent Media Research survey of 200 North Korean defectors indicates that at least 80 percent of ordinary North Koreans are engaged in local trade. Ordinary North Koreans no longer depend on rations from Pyongyang as these have more than halved in the past years. The so-called “super-class apartments” in the North Korean capital are sold at rates of 100,000 dollars each. According to the World Food Programme (WFP), fewer North Koreans now say they need more food. Its 2013 survey says 46 percent of respondents have “adequate” food compared to 26 percent in the 2012 survey. If all this is any indication, then the suspension of aid from Seoul created only short-term difficulties for the North, but in the long run it helped reform the economy. With no food or aid from the South, workers who used to handle these supplies lost their jobs and had to find something else to do. “Many of them became sellers who are hawking in one market after another,” said Joo Sung-Ha, a Seoul-based North Korea expert. Also, as the U.S. mounts pressure on China to make North Korea denounce nuclear weapons, Pyongyang will have to continue looking for other sources of funds, say analysts. Already, North Korea has launched a series of reforms. In June 2012, it introduced a “family farm” system, wherein each farm family gives 30 percent of its harvest to the government and keeps the rest as its private wealth. North Korea also announced the construction of 14 economic zones, where foreign investors can do business. This January, a new ski resort was opened in the western city of Wonsan where foreign tourists can mingle with locals and drink European beers and even Coca-Cola. Pyongyang has also proposed resumption of talks with Seoul. This month, for the first time after 2007, high-level officials from the two Koreas sat down to discuss the reunion of families separated during the 1950 to 1953 war. Kim Jong-Un has reason to reform. He leads a nation that is perceived as a nuclear threat to the world. To reinforce his legitimacy, he must reduce the country’s heavy dependence on China and try to open up the economy. But can such reforms bring about real change? Kim Jong-Un, who succeeded his father Kim Jong-Il and grandfather Kim Il-Sung, is being accused of encouraging cult loyalty to keep his family in power. Last year, he purged the country’s number two leader, his uncle Jang Seong-Thack, executing him on treason charges. “Kim is now terrifying the nation by sending hundreds of Mr. Jang’s men to concentration camps,” according to Cho Myong-Chull, a lawmaker in South Korea who used to be a professor at North Korea’s Kim Il-Sung University in Pyongyang. Many North Koreans say their government cares more about itself than feeding its people. Around 90 percent of those surveyed by Media Research feel there is a wide gap between the rich and the poor today due to the emergence of the new rich. Industries have been hit by lack of electricity. But at the same time, more North Koreans are getting to know about the outside world. The Media Research survey of North Korean defectors finds that 70 percent of them had already seen South Korean TV dramas and heard K-pop songs while living in North Korea. More than three million North Koreans are believed to own cell phones. Most defectors settled in South Korea speak to their family members back home through mobile phones. There are more than 26,100 North Korean defectors living in South Korea. They say that in the 1990s they left home to escape hunger. But since 2007, more left in search of a better life and better education for their children. In recent years, North Korea has tried to woo back defectors instead of persecuting them. In fact, fewer people have left for South Korea since Kim Jong-Un took power, according to the South Korean Ministry of Unification. The sources cited seem to rely on North Korean defectors. Please include survey data of North Koreans who still live and work in their country. How do you expect to conduct and “include survey data of North Koreans who still live and work in their country” Pedro? Lil’ Kim wont be too encouraging for outsiders to have an open exchange with his ‘happy nation’ don’t you think? And all those automatonised synchronic dancing North Koreans, whose brains have by now been effectively purged of the ability to see beyond their noses, will certainly not have any reason to suspect that things could be any better than they are in their cocooned ‘paradise’. That’s the problem with cross-generational isolation and removal of reality over a period of about seventy odd years.